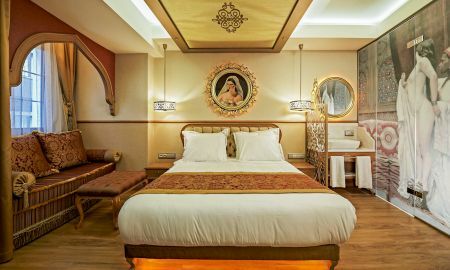 Steeped in the history of its landmark location in Istanbul's Old City, Hotel Sultania welcomes its guests with exceptional harem style and world-renowned Turkish hospitality. The inspired design of its 42 luxurious, modern rooms featuring traditional Ottoman touches will leave guests feeling like sultans. 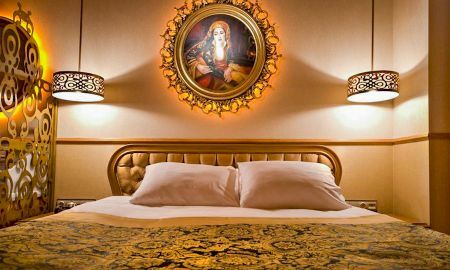 Named after the most important wives of the sultans of the Ottoman Empire, each unique room offers an enchanting, story-telling experience which will take you back in time. Hotel Sultania also offers the world-famous traditional Turkish Hamam, one of Anatolia’s most historically and culturally significant rituals. Guests can also relax at the indoor swimming pool and wellness centre before enjoying delicious gourmet cuisine at The Olive Restaurant. The fully-equipped meeting room and impeccable service long-associated with the Yasmak Hotels family ensures that Hotel Sultania is the ideal place for any occasion. 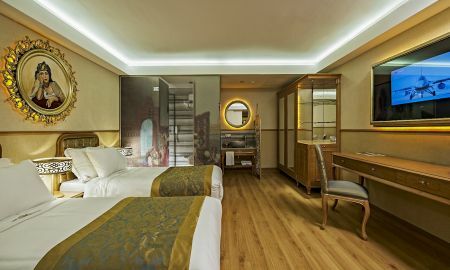 A unique Istanbul boutique hotel, Hotel Sultania inspires its guests with its luxurious design and landmark Sultanahmet location. 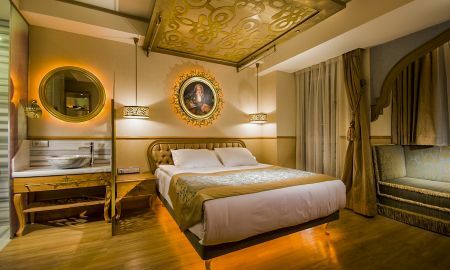 A stay at Hotel Sultania promises to be a memorable holiday in complete and utter comfort in the heart of Istanbul’s Old City. 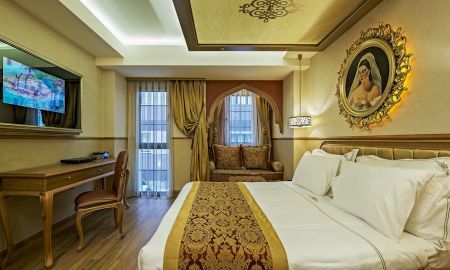 Hotel Sultania is less than a 5-minute walk from many tourist attractions in central Istanbul, including Topkapi Palace, Hagia Sophia, Blue Mosque and Gülhane Park. The tram station is within a 4-minute walk from the hotel and a wealth of restaurants and boutiques are within very easy reach.